In 2007, an unusual crayfish appeared in food markets on Madagascar, which was later identified as the enigmatic marbled crayfish or "Marmorkrebs". The completion of the marbled crayfish genome now shows that this new invasive species is a genetic clone. Marbled crayfish are a freshwater crayfish species (Procambarus virginalis) with a unique feature: they form an all-female population that reproduces parthenogenetically. As such, a single female can give rise to a large, genetically homogeneous population. The origins of this phenomenon are still a mystery. 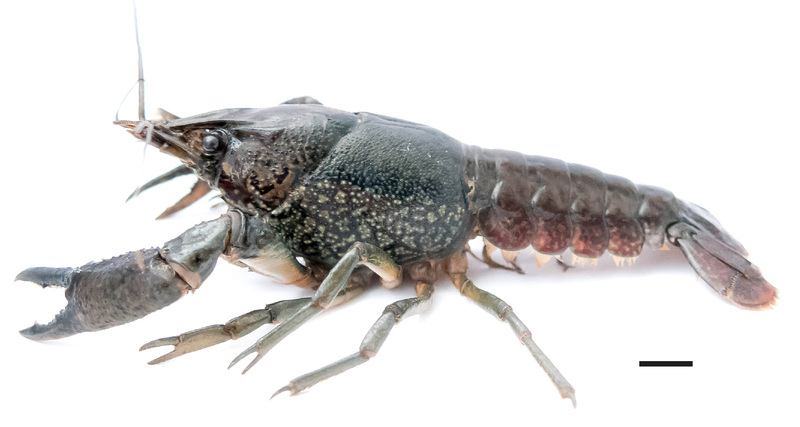 While closely related to the sexually reproducing Procambarus fallax from Florida, marbled crayfish first appeared in the German aquarium trade in 1995. A collector had obtained a batch of animals at a trade fair. The animals rapidly propagated in his aquarium and were both robust and aesthetically pleasing, so he distributed them through aquarists' networks. Years later, marbled crayfish could be purchased in many pet stores worldwide and the numbers of stable wild populations (from anthropogenic releases) increased steadily. An adult marbled crayfish (Procambarus virginalis). Bar: 1 cm. The picture is adapted from the formal species description (Lyko, 2017) that can be found here. Scientifically, marbled crayfish present many questions. Are they really a genetically homogeneous clone or are there several genetically distinct subclones? And if they are indeed a clone: can they really invade different habitats or can they only survive when released into a favorable environment? To answer these questions, we sequenced the marbled crayfish genome and analyzed the distribution and invasive spread of the animal on Madagascar. 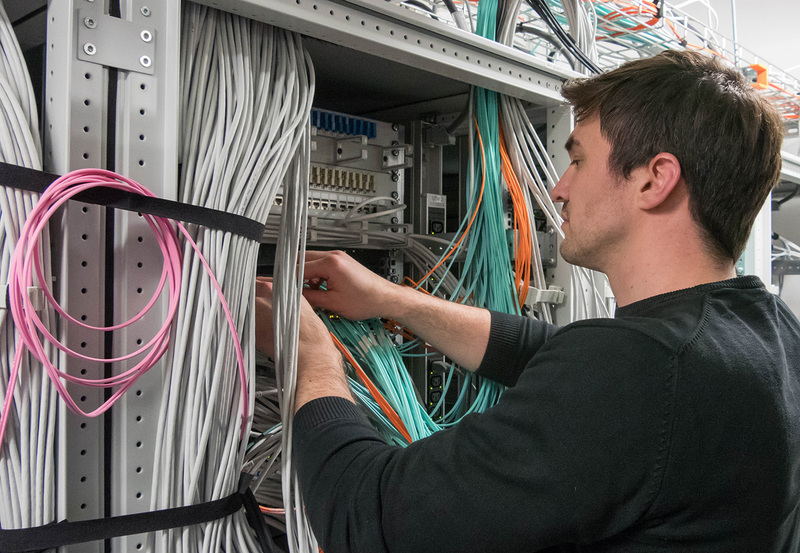 Establishing a first genome assembly represented an enormous challenge. The genome is large (3.5 Gb), triploid and highly heterozygous, and thus combines many features that are considered major obstacles for de novo genome assembly. 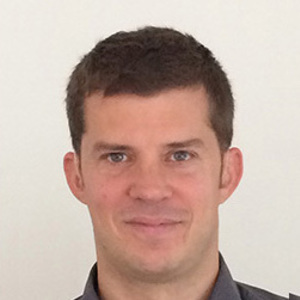 First author Julian Gutekunst had to burn through countless CPU hours to assemble 350 Gb of raw DNA into the first version of the complete genome sequence. Julian Gutekunst checking the high-performance computing infrastructure for the marbled crayfish genome assembly. Image: Sina Tönges. Upon its completion, the genome sequence could immediately be used to classify and further analyze the animals on Madagascar. 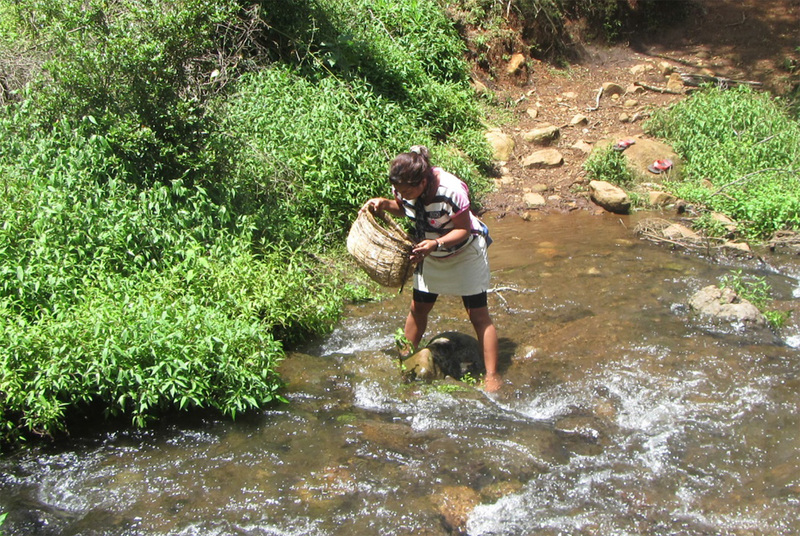 I had contacted Jeanne Rasamy from the University of Antananarivo, who is well-known for field work and awareness campaigns on invasive crayfish on Madagascar. She and her student Ranja Andriantsoa found marbled crayfish at 28 sites and in vastly different habitats, such as lakes and rice fields on the central highland and swamps close to the coastline. When the field studies were completed, it became clear that between 2007 and 2017, the size of the marbled crayfish distribution area had increased about 100-fold from 1,000 km2 to more than 100,000 km2. Ranja Andriantsoa using a traditional Malagasy fishing tool ("tandroho") for animal collection. Image: Ranja Andriantsoa. Back in the lab, we performed a comparative genome analysis of 11 animals: the original reference genome, 5 wild catches from Madagascar, 2 wild catches from Germany and 3 aquarium lineages from various sources in Germany. Comparisons between these genomes revealed that there were no more than 4 non-synonymous SNPs between two animals. This is an extremely low number for a large genome, and can only be explained by a low natural mutation rate and very recent speciation event, which we estimate to have occurred about 30 years ago. It also shows that the global marbled crayfish population can be considered a single clone. It will be important to closely monitor marbled crayfish populations, as they represent a considerable ecological threat. For example, Madagascar is home to seven endemic crayfish species in habitats that are adjacent to or overlapping with the current distribution of marbled crayfish. This unique freshwater crayfish community will have to be protected from competition and pathogens that are introduced by the invading animals. Unfortunately, the expansion of marbled crayfish on Madagascar is not only aided by a dense freshwater network, but also by the increasing popularity of marbled crayfish-based foods. 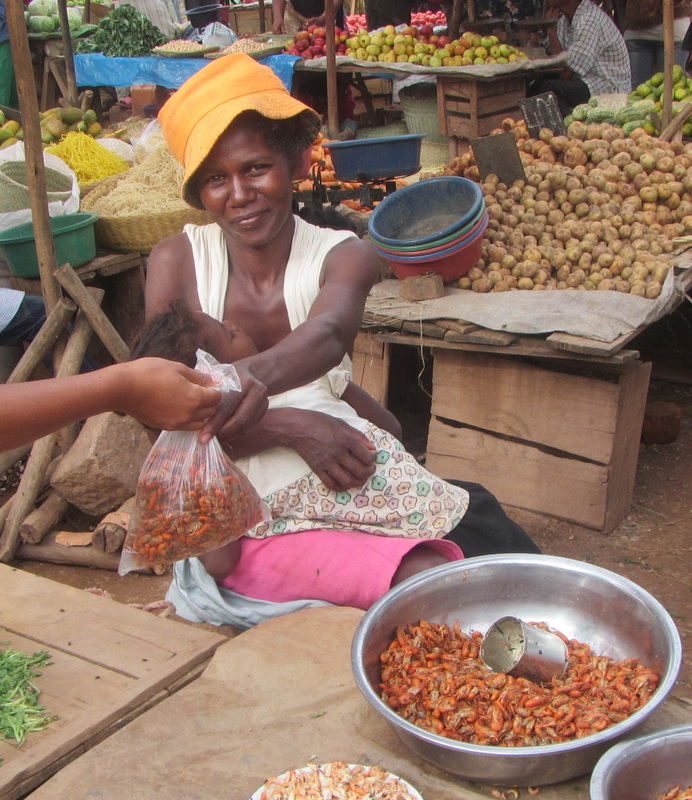 Boiled marbled crayfish yearlings being sold at a market in Antananarivo, Madagascar. Image: Ranja Andriantsoa. Finally, their clonality also establishes marbled crayfish as a unique research model for a variety of important topics. For example, how do these animals adapt to environmental changes if they have next to no genetic diversity? Is epigenetics the answer? These will be fascinating questions to address in future projects.